He tore into the box soon as he brought it into the house. No one would blame him, he deserved presents, dammit. The tag didn’t say who it was from. Maybe his mom. She liked to leave him stuff every now and then, her way of taking care of him still. The button sat atop the black box, the word “PLAY” emblazoned across it in big bold letters. Harry wasn’t a dope though, he read that story. Press the button and someone you don’t know dies. No way he was going to do that. Why risk his own safety just because the button was staring at him, daring him to press the thing. He jumped off the couch, nearly knocked the button off his coffee table, when the phone rang. He didn’t recognize the number. The logic of it all, strange number, strange button; they had to be connected. He answered the phone, how could he not. “This is Harry,” he said. He immediately felt stupid for saying it. If the person on the other end of the was the box sender then they already knew who he was. But then how did they get his number? How did they know to leave the button for him to begin with? The questions flashed through his mind as he finished speaking and in the short silence before a voice answered at the other end. “Hello, sir or madame, are you happy with the state of your life insurance?” A recorded voice clicked at him. It must have been on a timer and he answered the phone too soon. Harry scrambled for the phone, hit the end call button as soon as he righted it in his hands. “Enough of that,” he said. He placed the phone on the table next to the button. It screamed at him, that voice, now in his head, screamed at him to push the button. He lay back on the couch with a pillow over his head. It could block out the sight of the button while muffling the sound of the voice at the same time. He fell asleep like that. The button on the table beside him, next to his phone. A pillow over his head, blocking out the world and the strange button and callers that demanded he do something he knew he shouldn’t. But this didn’t explain how he woke with the button in his hands and the pillow no where near the couch. His body wracked with chills as the remnants of night sweats did their job. He felt crusty and moist, maybe even a little dirty with the button in his hands. Five text messages demanded his attention on his phone. Two messages from his mother, the usual. He set them aside as he sifted through the other three. None of them, not a single one said anything about the button. The three messages were spam to say the least. Advertising he shouldn’t have gotten but they pushed their way through his filters anyway. He deleted them then turned to his mother’s messages. She was a pit bull when he didn’t text her back right away, just bit on and didn’t let go till he did what she wanted. The first message innocuous, her gutters needed to be cleaned. But the second message, he didn’t send back an answer to the first soon enough. She was on her way over, an hour ago. Gah, how long had he slept? A knock at his door, then a key slid into the lock. He frantically scanned the room to see what he needed to hide before she came in. It struck him how odd the coincidence was that he found her messages just as she forced her way into his apartment. “Harry, are you home?” She called into the apartment before she stepped inside. Curtesy, at least a little before she barged in. “I’ll put a pot on,” he said. “Sit down, Ma. The house is clean enough.” He didn’t wait for her answer, her words little more than incoherent mumbles as he stepped into the kitchen. She droned on as he turned on the water and filled a pot. After a few minutes he filled cups with the hot water and dipped tea bags into both cups. She held the button. At least at first glance that was what he saw. She sat with the button in her hands, wide empty eyes stared down at it, and her index finger rested firmly on the compressed button. She didn’t move, didn’t breathe, her eyes transfixed to the place of contact. “Ma,” Harry said. “Mom. Mom!” He pushed her shoulder and she fell over. The button dropped from her hands. Her body sagged then crumpled, an empty shell like a can drained of soda crushed on a frat boys forehead. The husk of her body flattened out in front of him. A knock at the door, though he ignored it, his gaze locked on the crumpled shell that used to be his mother. He didn’t notice when the door opened and a man dressed in black strode into the apartment, whistling the Hallelujah chorus to Handel’s Messiah. The man glanced up and around the room, then locked his eyes on Harry. “Sorry? I didn’t expect to be accosted.” He walked over to the couch and picked up the button. “Just came by to collect this. Seems it’s been used but not by the intended recipient. If you take it up with the home office they can send you a replacement.” With that the man walked out of the apartment and closed the door behind him. Harry stared at the door for a few minutes, his mouth agape. After a time longer than was socially comfortable he swept up the remains of his mother and dumped them in the kitchen trash. After he replaced the broom and dustpan he returned to his spot on the couch. “Well at least he took the button,” he said. I am not sure right at this moment how to follow that up. Wait, I have an idea. 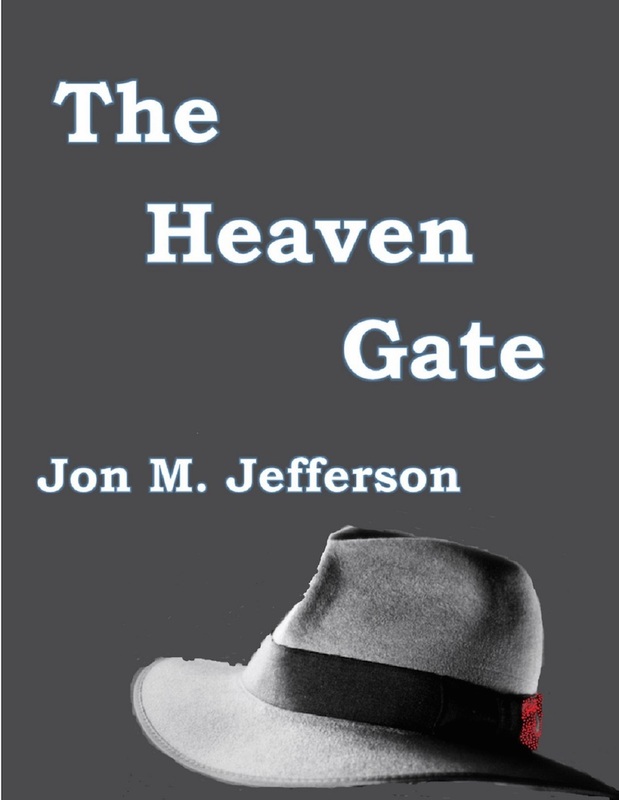 Why not head over to Amazon and pick up A Death in the Family and The Heaven Gate. Death is on sale from the 30th to the 6th of November for 99 cents. 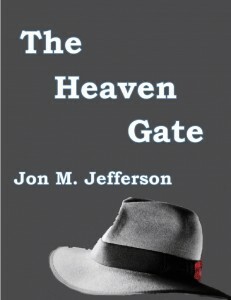 And you can get The Heaven Gate for free from the 30th to the 1st of November. 8 Responses to "Just Press Play"
Hmm… I did not expect that. It seems like he should have known about the button but didn’t. Makes you wonder who ordered the button to begin with. This one didn’t work for me as well as the others have done. Think you might need tp shrink up the bit in the middle. That said – I liked the fact his Mom came over, but that was the point where it switched for me from being scary to becoming almost comical. Maybe that was the point & my brain’s on half measure. This one did fall more into the black comedy stylings. I like to think I put the fun in funeral.